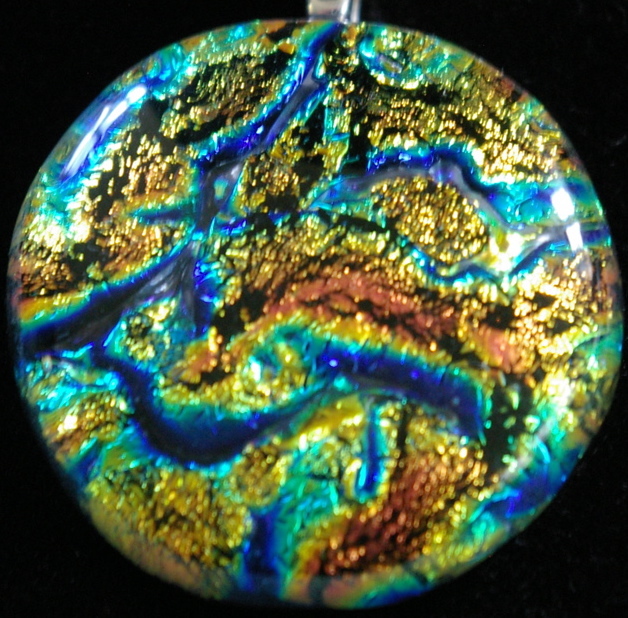 Students can choose from a huge range of dichroic glass for the course to make wonderful pendants, brooches, earrings, rings and cufflinks. Professional studio, located amongst rolling hills in the beautiful N. Gloucestershire countryside. 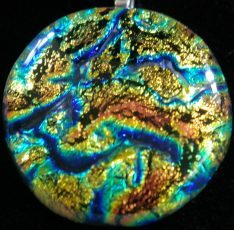 Tuition includes health and safety, design, glass cutting, assembly, fittings, using the warm glass method of kiln fusing. A booklet is provided for students to keep covering all aspects covered on course. All tools for use on course provided. After course back-up provided including use of kiln. Two day weekday courses available by arrangement. Tea, coffee, biscuits provided throughout.